The digital revolution will transform the work force in the 21st Century, just as the industrial revolution. But technology will create a host of new type of jobs and challenges as society moves from muscle and brainpower to data power, according to professors Bo Dahlbom and Ragnar Torvik. The world is standing at the beginning of a social revolution called the digital revolution. The big five dominating the scene are US technology companies Google (Alphabet), Facebook, Amazon, Microsoft and Apple. They are the largest companies in market value, outpacing the big oil companies and carmakers. The “big five” have experienced explosive growth partly because of their networks’ two-sided platforms and ability to extract data to sell, as well as their extremely lucrative capital position, according to Torvik, economics professor at the Norwegian University of Science and Technology in Trondheim. They can afford to buy the competition to retain their dominance. Three of the five companies hold about 25 per cent of the cash in all of the S&P 500 listed companies. 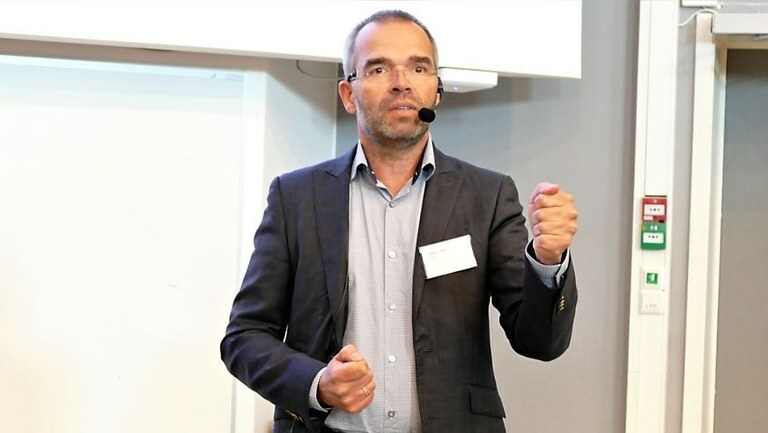 This is all symptomatic of the power shift in the digital revolution, says Dahlbom, an IT professor at the University of Gothenburg and advisor to the Swedish government on the implications of digitalization for society. Data has become the fuel for the new digital economy in the same way as oil was for the industrial revolution. The two biggest powerbrokers back in the early 1900s were oil magnate John D. Rockefeller and US carmaker founder Henry Ford. Both had a large role in shaping 20thCentury industrial society based on an abundant resource of oil and effective production lines. Today, the leaders are technology billionaires like Amazon CEO Jeff Bezos, the richest man in the world according to Forbes, and Alphabet CEO Larry Page. The other big three dominating are US technology firms Apple, Facebook and Tesla. So what does this all mean for the future of the labour force? One theory is that technology will “eat labour.” Just as machines in the factories replaced the craftsmen in the workshops, so will data take over for man. Uber car drivers will be replaced by driverless cars. A 2013 report by Oxford University academics called The Future of Employment predicted that half of all work tasks could be replaced by automation within 2034. “If the digital revolution is as strong and powerful as the industrial revolution, it will just crush the labour system that we built in the 20th Century and replace it with something very different,” said Dahlbom. There are historical parallels that can be seen in the dwindling horse population in Norway. Back in 1946, when agriculture was its height in Norway at 20 per cent share of labour and the largest private sector employer, there were 238,000 horses. By 1975, at the beginning of the technology revolution, there were only 20,000. Today the share of labour in agriculture is 2 per cent, the same fraction as horses. During this time there was an increase in value creation. But there is no proof that it created unemployment in the long run, he says. The development led to a shift in the types of jobs, from coachmen to truck drivers. It also led to a strong increase in wages – albeit over several decades. Plus, the productivity of the workers went up. “It is good news that these jobs were lost because it made it possible to transform people into more productive jobs, increasing their income,” said Torvik. Part of the problem is that companies are more profit intensive than labour intensive. The “big five” are not dominant when it comes to employment. Alphabet, Facebook, Amazon, Microsoft and Apple employ about 400,000 people. Half of them are drivers for Amazon that will soon be gone away, according to Torvik. These firms are worth more than 100 times than General Motors in 1979, but they still employ less people. Algorithms will kill some types of jobs and create new ones. A new middle class comprised of change agents, lobbyists, politicians, therapists, stylists and mentors will emerge, according to Dahlbom. In the past, there was a focus on brainpower: lawyers, doctors, teachers, and researchers. Old jobs will be killed with platforms and algorithms will ruin the lives of doctors and teachers. Not only will there be less jobs, but worse ones, such as former department store workers now delivering packages for Amazon with no breaks who will have to pee in a Coca Cola bottle. There will also be the risk of lower wages. “Robot caretaker will be a very important work task in the future,” he said. “And they will be very badly paid because there will be so many to pick and chose from because technology has taken over so much. The paradox is that the same country responsible for creating these successful companies in the new economy – i.e. the US – is also the ones clinging most to the old economy. Under President Donald Trump’s administration, the country has gone against globalization, cancelled trade deals, and introduced protectionist tariffs. In an effort to support its steel workers, the US recently introduced 25 per cent steel tariffs and 10 percent on aluminium from the EU, Mexico and Canada. The US has also threatened tariffs on $50 billion worth of Chinese imports. The trade counterparts have warned that they will retaliate with tariffs of their own against the US. This could threaten the pace of the new economy and digitalisation, warns Torvik. Horses were outcompeted - and tractor drivers "incompeted"
When the horse was outcompeted by tractors it meant at the same time that the horseman was replaced by a tractordriver. The productivity grew and new workplaces were created instead of the old ones. But when a tractor is outcompeted by an autonomous vehicle, the tractor driver isn't replaced by someone else. That's one of the reasons why the consequences of the digital revolution can be different from the industrial revolution. In 1946 there were 246 000 horses in Norway. On the photo from the Norwegian Museum of Hydropower and Industry above, a man called Asbjørn Eide is standing beside his horse. The picture was taken by Daniel A. Eide.